A campaign that supports budding entrepreneurs in the UK is coming to Aberdeen and Inverness aboard a Routemaster bus next week. 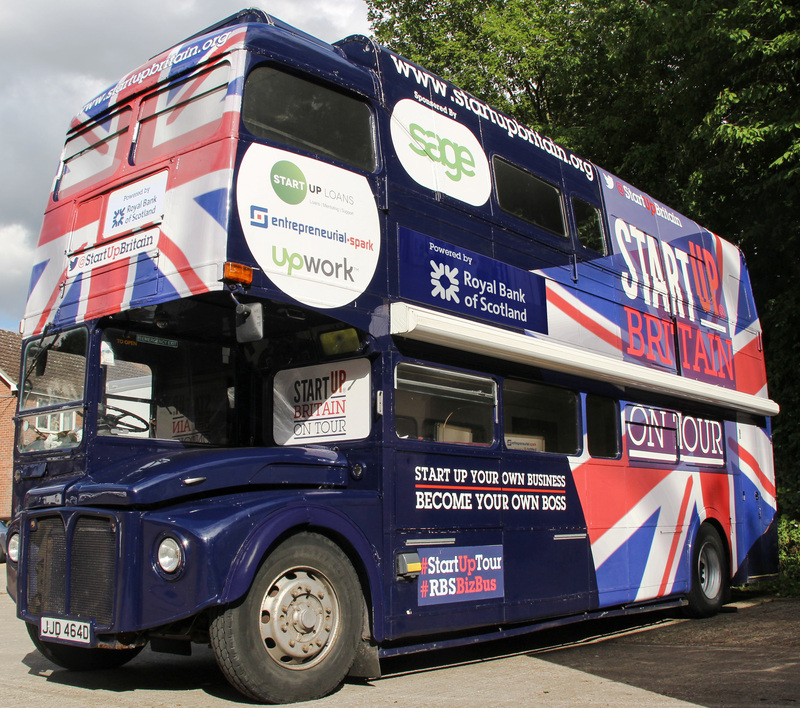 The initiative, StartUp Britain, aims to take the number of businesses set up in the UK to 600,000 this year by giving entrepreneurs access to advice from a bus-load of experts and organisations. Since the annual tours got going in 2011, start-up rates have increased from 440,000 to a record-breaking 580,000 in 2014. The 2015 installment of StartUp Britain has been under way since June, when it was sent on its way by Prime Minister David Cameron. It will be parked in St Nicholas Street, Aberdeen, from 10am to 4pm on August 6, and will be in Inverness for the last leg of this year’s roadshow a day later. StartUp Britain director Matt Smith, said: “Since 2011 we have seen record breaking numbers of people each year starting businesses, showing that the entrepreneurial spirit within Britain continues to grow. The campaign is run by the Centre for Entrepreneurs think tank with the support of a company that has dished out 30,000 loans to entrepreneurs over the last three years. The UK-Government-backed Start Up Loans Company handed 20 of the loans, worth £81,000, to individuals in Aberdeen in that time. StartUp Loans Company chief executive Tim Sawyer, said: “We are looking forward to getting on the road and meeting aspiring business owners. We have already supported over 30,000 individuals to turn their business ambitions into reality.